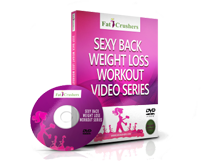 Buy Fat Crushers' Weight Loss and Fitness products here. 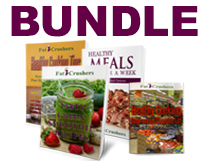 You'll find digital products covering several weight loss categories like, Weight Loss Guides, Exercise, Healthy Eating & Nutrition, Muscle Building, Mindset & Motivation, and much more. Your new lifestyle requires you to make some changes in how you eat and cook. 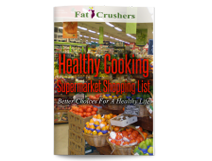 Healthy Cooking Tips is filled with detailed healthy cooking info and how-to’s to get you up to speed on the best options and tips for healthy weight loss success. Eating healthy can be fast and simple as long as you have the right healthy recipes on hand. 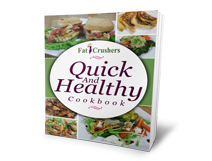 Our Cookbook provides you with those recipes and allows you to enjoy healthy meals in 30 minutes or less. It includes recipes that can be used for breakfast, lunch, dinner, snacks and dessert. One of the biggest reasons people struggle with low carb eating is that they fail to add variety to their diet. They then get bored with the foods they’re eating and start to crave carbs. 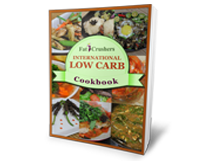 Our cookbook contains 20 delicious low carb recipes from a variety of international cuisines including Chinese, Korean and Indian. 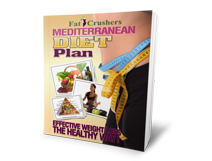 I've taken everything I've discovered about the Mediterranean Diet and lifestyle and I've created the Fat Crushers' Mediterranean Diet Plan. 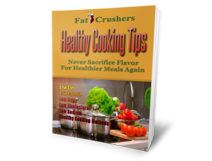 It's a guide to losing weight and staying healthy all while enjoying some of the most scrumptious foods ever. 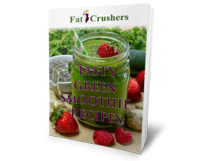 This guide will show you exactly how you can start losing weight and become more healthy quickly, easily, and safely without eating restrictions and without gimmicks. Kick-start your new healthy cooking with recipes for breakfast, lunch, dinner, dessert, and snacks. 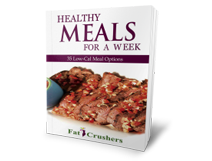 There's No searching for healthy recipes and No excuses for starting your new healthy diet with this handy resource. Some of the most delightful recipes to get you started with this simple and fun health habit. Green smoothies are a delicious way for you to get the nutrition, vitamins, minerals, healthy carbohydrates, fiber and low fat whole food that you require to reduce weight rapidly, safely and successfully without denying yourself food. Our 15-page book that shows you how to make better shopping decisions. Our professionally produced home workout video series. All exercises are simple to follow and don’t require any expensive equipment. 56 instructional exercise fitness videos that focus on your total body: chest, arms, abs, legs, lower body and buttocks. Each exercise has guided instruction from a coach, so it’s like having your very own personal trainer right there with you. An easy-to-follow comprehensive training guide that will teach you how to transform your body and your life with training and exercises that use kettlebells. 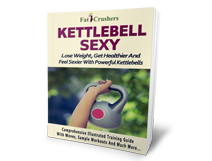 Includes illustrated Kettlebell moves with step by step instructions. Includes all the information you need to begin your training and progress as you get more fit. A Complete Kettlebell Guide For Anyone And Everyone. How To Get Healthy, Strong And Lose Weight Quickly With Crossfit Total Body Fitness! 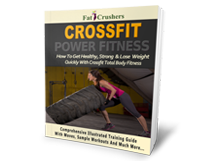 CrossFit Power Fitness was written with beginners in mind, so you will find an honest and easy-to-understand explanation as to how and why CROSSFIT will work for you. The tips included will allow beginners to learn the type of equipment used in CROSSFIT and an entire chapter in this handbook is dedicated to many of the specific moves used in CROSSFIT training with illustrations! Every exercise listed here includes a how-to explanation and a graphic illustration to help you get a better understanding of the movements. 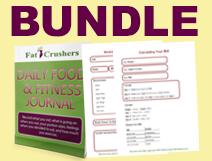 "Worksheets to Track Your Weekly Weight Loss & to Calculate Your BMI as well as a Daily Food & Fitness Journal. Food diaries are extremely helpful, especially when starting your diet. With the Daily Food & Fitness Journal, you'll be able to keep a daily track of what you eat and what is going on when you eat which helps you understand why you might eat the way you do. 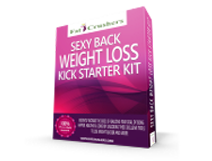 The Kick Starter Kit gives you the diet, exercise, tracking and motivational tools that you need to start and maintain your weight loss plan AND instantly increases your odds of realizing your goal of being Happier, Healthier & Sexier, without you having to deal with any hassles or frustrations from trying to find the right resources to get started. 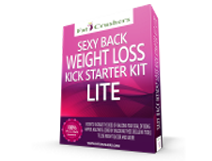 The perfect companion to any weight loss program and gives you the diet, tracking and motivational tools that you need to start and maintain your current weight loss plan.